A local artist who spoke out against San Diego’s art scene is back in town, trying to bolster arts spaces; weed might be coming to a wedding near you and more in our weekly digest of the region’s arts and culture news. For nonprofits, leadership changes can be jarring. 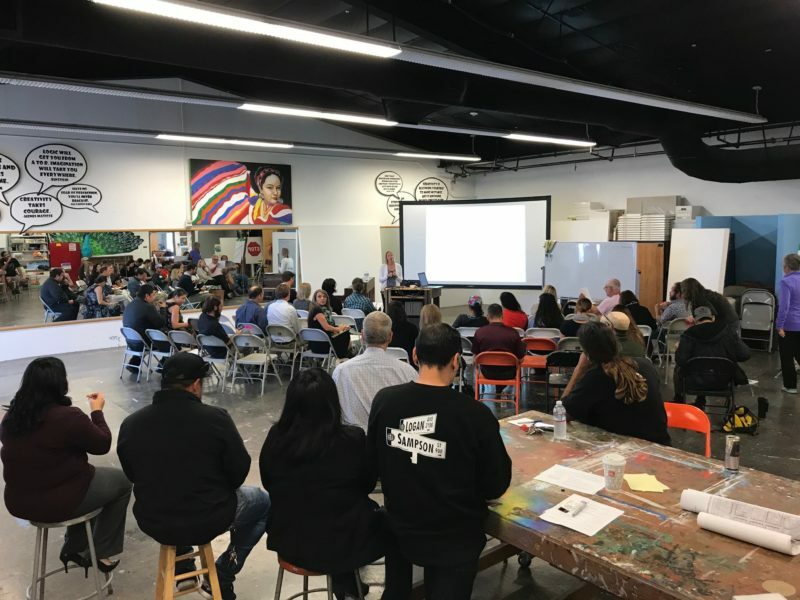 A Reason To Survive, or ARTS, a nonprofit youth arts education center in National City, was close to being shuttered after its founder and CEO Matt D’Arrigo left his post in June. Since ARTS opened in 2001, it’s offered arts education and programming to underprivileged youth, mostly kids referred by social service agencies. In 2013, the nonprofit was catapulted into the national spotlight when a documentary about Inocente, a homeless teenager and artist who benefited from ARTS programs, won an Oscar. ARTS moved into a 20,000-square-foot facility in National City in 2012, after five years at Arts District Liberty Station in Point Loma. The organization’s home has grown into a community hub in National City. It includes a performing arts center, a music room, industrial arts center, a library and offices. Last year, ARTS announced a large-scale effort in National City to revamp public parks and other city-owned places by engaging residents with students and using art and design to quickly and creatively improve 30 locations in National City. D’Arrigo said the city paid ARTS for its work, and that was one way he tried to diversify its revenue streams. But the nonprofit has long subsisted mainly on donations and philanthropy. ARTS grew so much, so fast, that sustaining its ballooning annual budget became difficult, D’Arrigo, and by the time he left over the summer, the group’s finances were suffering. Marty Remmell, the CEO who took D’Arrigo’s place, left on Oct. 20 after just four months on the job. On her LinkedIn profile, Remmell said that even after she got a sizable grant to turn the organization around, she recommended the “indefinite suspension of all operations and an organized closure” because of a lack of immediate general operating funds. In an interview, she said that the grant and other money the organization had in the bank was earmarked for specific programs and infrastructure and couldn’t be used on other costs to keep ARTS going. D’Arrigo acknowledged that Remmell walked into a difficult situation. D’Arrigo said ARTS will not close, though. He said the organization will soon emerge leaner, and with a tighter focus. He said the board is scheduled to approve a plan to get its programs and community art projects up and running again by January, and that ARTS plans to turn the city-owned building it rents into a “Creative Youth Development Hub.” The plan is to partner with another group, possibly an arts-based charter or trade school, to use the space during the day. He said they’re also working with the city to renegotiate the lease. Artist John Mireles left San Diego with a bang. 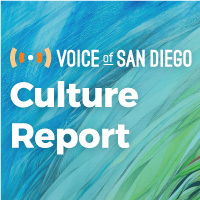 In an op-ed for Voice of San Diego in January, he berated San Diego’s art scene by explaining why he was leaving for New York City. He criticized San Diego’s gallery scene, the lack of serious art collectors and other aspects of the city that prohibit an ecosystem where artists can thrive. Welp, Mireles is back – at least on a part-time basis. And now he’s opening a pop-up gallery in Logan Heights. “I’m not going to lie, I missed San Diego,” he said. 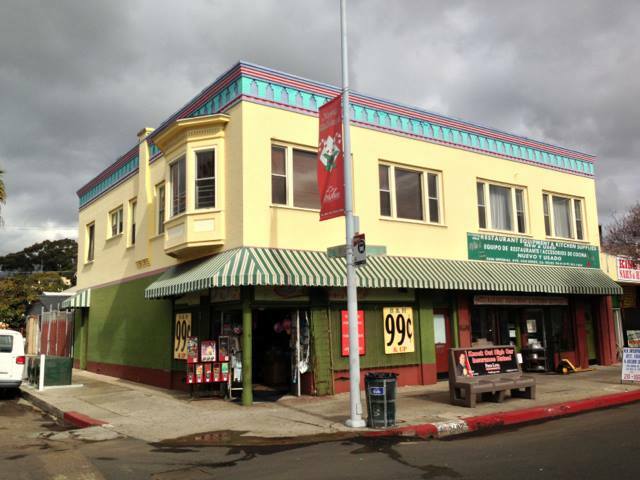 Mireles owns the building at 2602 Imperial Ave. One of his longtime commercial tenants recently moved out, and as he was looking for someone to rent the space, he said the news that The Glashaus and other art spaces in Barrio Logan were closing spurred him to action. He said he plans to rent out the space eventually, but in the meantime, he’s using it to show art. The monthly pop-up gallery is called The Tularosa Space for Art, and the first opening is scheduled for Dec. 15. The photographer said he plans to feature work by contemporary artists from San Diego and Tijuana. The building, he said, has a lot of interesting history, including being the headquarters of the local Black Panther Party. Mireles said he wants to honor that history by finding a long-term tenant who runs an arts or community-focused business or nonprofit. Mireles said he doesn’t have any delusions of grandeur about how his little pop-up gallery can turn things around for San Diego’s art scene, which has long struggled to find its footing. 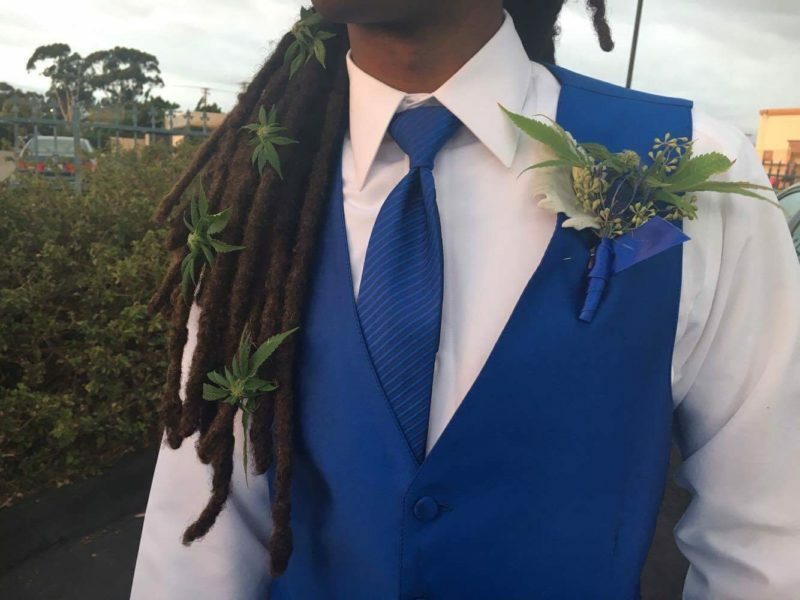 • I wrote this week about the rise of “weedings,” weddings where weed, not alcohol, is the main social lubricant. What other cultural shifts can we expect as full legalization of cannabis in California goes into effect in January? Email me and tell me what you think. • The latest episode of Cura Caos, the VOSD Podcast Network show about movers and shakers on both sides of the border, features an interview with Seth and Alexis Sullivan, a Tijuanense couple who turns junkyard trash into treasures. • It’s the one-year anniversary of the Voices of Our City Choir, a choir for people experiencing homelessness in San Diego. Steph Johnson, the San Diego musician who founded the group, is celebrating the anniversary with a holiday concert. • Here’s your chance to see what graduating seniors from San Diego State University’s dance program can do. • Artists Jason Sherry and Matt Hoyt have put on a weird, interesting performance art piece a few times before. It’s called “Talk Talk,” and it’s being staged again, this time at A Ship in the Woods in Escondido. • Embroidery is punk rock. Just ask performance artist Claudia Cano, who’s hosting an embroidery workshop on how the medium can be used as a form of resistance. • The Union-Tribune’s theater critic makes the case for adding theater to your list of holiday traditions. • Speaking of holiday traditions, the Alpacas of San Diego ranch opens to the public during the holidays for tours. • CityBeat arts columnist Rachel Michelle Fernandes concludes her series on funding in the arts by looking at crowdfunding. • I keep being wowed by the images on social media of artist Michele Guieu’s plankton installation at the gallery at San Diego City College. • KPBS took a look at the San Diego African American Museum of Fine Arts and the San Diego History Center’s “Legacy in Black” exhibition. • All the cool literary-types will be here Sunday for a reading series at Gym Standard in North Park. • The annual Christmas “Messiah” Community Sing event is happening Sunday. • If, like me, you’ve yet to cross one single gift off your holiday list, you’ll probably want to hit up a shopping event this week. Find one that speaks to you: here, here, here or here. • The NTC Foundation commissioned local scenic designer Jay Newington to create a new art installation in Arts District Liberty Station. • CityBeat breaks down a new Brewer’s Guild report that says local beer is bringing in a massive amount of money. • The Reader breaks down a new report by the San Diego County Vintners Association that says wine is bringing in a massive amount of money. • The dudes behind Tijuana brewery Cerveceria Insurgente say repealing NAFTA would make their beer super expensive. • If you like chili, you don’t want to miss the annual chili cook-off that happens on Thorn Street every year. • A food fest featuring Pacific Islands fare is happening this week.